Aleksender and Sofia harmoniously panted as they struggled to catch their breaths. Eyes blinking shut in despair, Aleksender pressed his temple against Sofia’s. Nestled within the safety of her arms and speaking for the both of them, he recited the tragic confession: “I cannot love you. 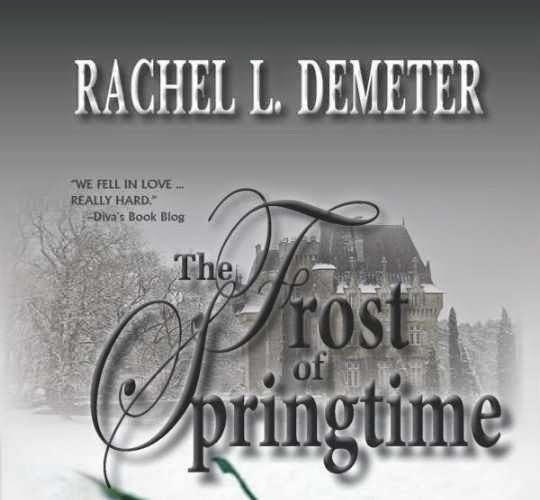 The Frost in Springtime by Rachel L. Demeter is a 2014 Black Lion Publication. I was provided a copy of this book in exchange for an honest review. like the flush in the face of the bridegroom when he kisses the lips of the bride. When I first signed up to do the book tour for this book, I had simply presumed this was a historical romance set in France. Well, let me tell you, this is not your ordinary historical romance. Not by a long shot. Immediately, I was struck by the writer's prose. I knew by the time I had read the first chapter this was going to be one of the best books I had read in 2014, no matter which genre. In our climate today we toss out five star reviews without giving a thought to the impact of the review structure. When a book like this comes along, giving it five stars just doesn't seem to do it justice. This novel is exemplary . Dare I hope that this is the beginning of a new era in historical romance? Aleksender has entered a brothel only to encounter a disturbance when a woman brings in her abused young daughter attempting to sell her into prostitution. A man not normally moved by too many things in life, feels a deep compassion for this child and takes her in as his ward. 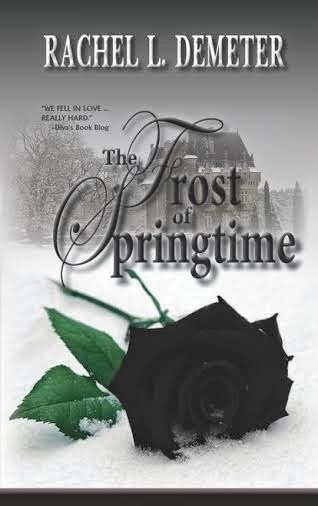 having dreams so vivid he is terrified of losing his very soul, the France he knew no longer exist, his best friend and fellow soldier is bitter and angry with him and his heart cries out for peace but can only find it in the arms of his beloved Sophia who is now a grown women. He struggles to maintain the guardian/ ward relationship, but utterly fails. Their love is a forbidden one, but it will not be denied. 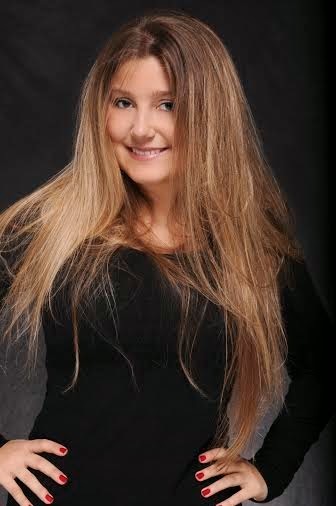 Aleksender is being eaten alive with love for this woman, but knows he can not have her. If the war didn't kill him this situation just might. There appears to be no winners here. Aleksender's brother, Richard pines for Elizabeth, who pines for her husband, who pines for Sophia. But, the moral codes of the day will keep each of them from knowing true love and passion. Elizabeth is not a cold woman, just a woman raised for her duties as the wife of the Comte de Paris. The Commune in Paris during 1871 is the basis for this story. France is on the brink of civil war, children are dying in the streets while the aristocracy appear to take little notice. This outrages Aleksender's friend, Christophe so much he lashes out at Alek. Alek's response to Chrostophe's rantings only adds fuel to fire. Meanwhile, horrible memories surface that will go a long way in explaining Aleksender's empathy for Sophia. While Sophia lives in two worlds, one in the strict convent school she was raised in and the other on stage as a premier ballerina, she knows deep down she is meant to be with Alek despite the odds against them. She also knows she is the only one that can provided a healing touch to his wounded and scarred soul. “For the first time he inhaled her unique scent. So, with all of the characters trapped in his or her own torment, the escalating tensions in the streets provide an almost unbearable sense of doom. Heartache, sacrifice, ideals, duty, anger, and frustrations will all collide to bring out about an unexpected climax. Will Aleksender and Sophia pay the ultimate price for their love? Not since the epic and sweeping love stories written in the 70's faded from view has a book so captured that spirit. Very well drawn characters, none of which we really dislike, even the hard bitten Christophe who is simply bereft by what he is seeing, all of which we feel some sort of respect for. You will hope beyond hope that there will somehow be a way for Sophia and Aleksender, but you wish it wouldn't come with too high of a price. This story has depth and will simply carry you away into the past, to another time where things are bleak, yet there is after all some hope. As always, when reading a historical novel like this one, having a bit of knowledge about the era of time will enhance the enjoyment of the book. I personally only know the very basics of the French Revolution and was compelled to do a little internet research while reading this book. So, although this is a work of fiction, the atmosphere is quite authentic, plus I learned something I didn't know in the process. I would love to write lush and lyrical praises for this book that would do it justice, but the best thing I could do is give you- the reader- a sage piece of advice- BUY THIS BOOK! Wow... I'm absolutely blown away by your review -- thank you SO MUCH the generous words!!! They are beyond inspiring and represent the very reason I became an author: to touch readers' emotions. So glad I found this post - it looks like an incredible book! I'm off to Amazon now. Thanks! Great review and thanks for the excerpts! Enjoyed reading your wonderful review. A really wonderful excerpt. Can't wait to read. Going to add this to my tbr.